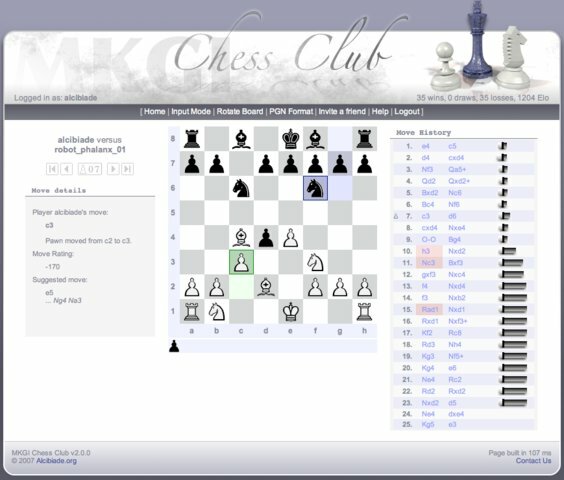 MKGI Chess Club is a chess playing server with a pure Web interface. It features complete player profile management, full html email notification with embedded board display. It also includes an interface to match against chess engines such as gnuchess.